...and you won’t expect what's under the hood. 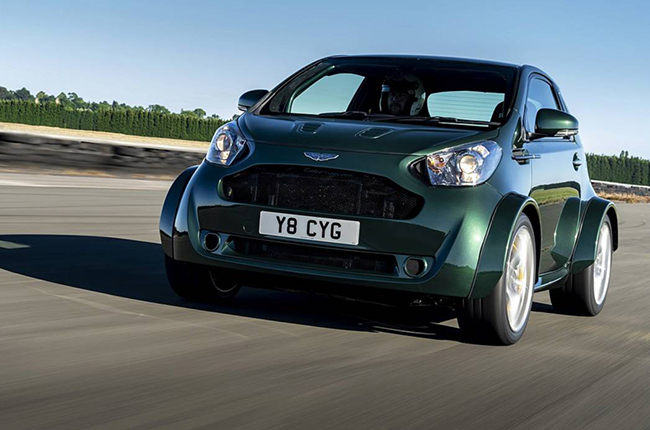 When the Aston Martin Cygnet first came out in 2009, most people had question marks over their heads. 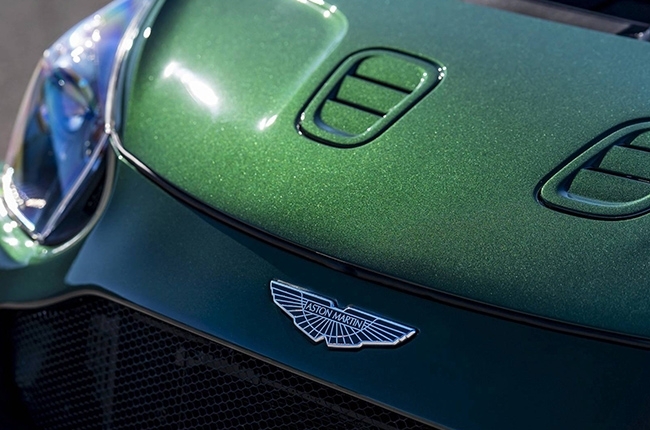 Aston Martin, a dedicated luxury sports car-maker was suddenly letting a rebadged-Toyota iQ city car out of its factory in the U.K. At first, some people thought it was a joke, until a portion of the world felt bad and mourned after its passing in 2013. But, who said it's permanent? Who said we'd never see it again? That's right, no one. And so, it resurfaces; the cutest city car in the upscale market makes a comeback. Don't let it fool you, though, because the Cygnet you knew has left its past. 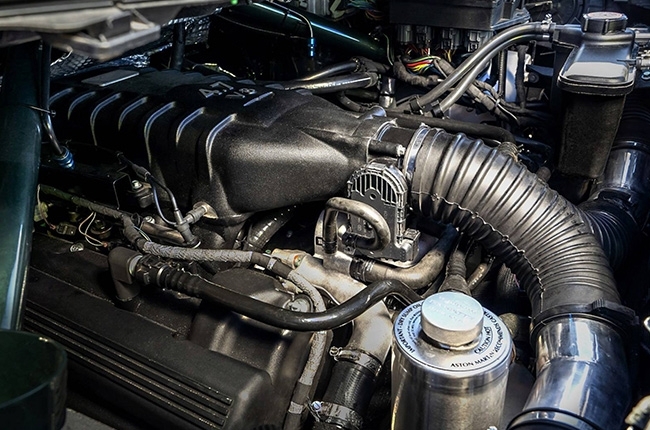 The 1.3-liter inline-4 engine before was just an introductory offer; believe it or not, Aston Martin miraculously fitted the Vantage's 4.7-liter V8 engine under its tiny hood. Mind blown, yes – we were, too. It's outrageous and downright taboo for a car this small to bear a monster engine but here's a backstory just to enlighten everyone. 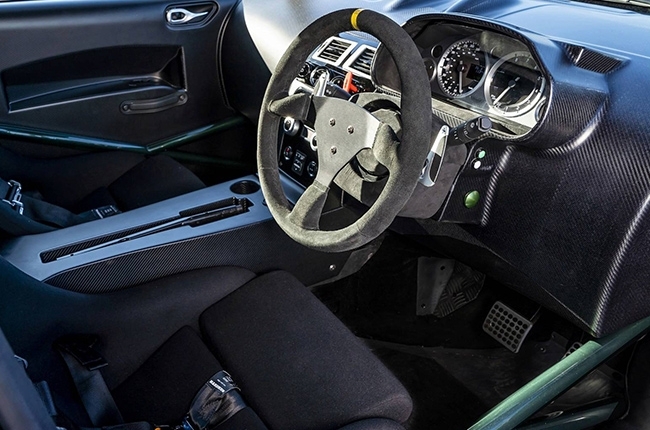 The project became a reality after a customer, through the 'Q by Aston Martin – Commission' service, requested it. The result is, from the 97 hp and 123 Nm of torque, the humble hatchback was beefed up to a whopping 430 hp and 490 Nm of torque. Who's cute now? 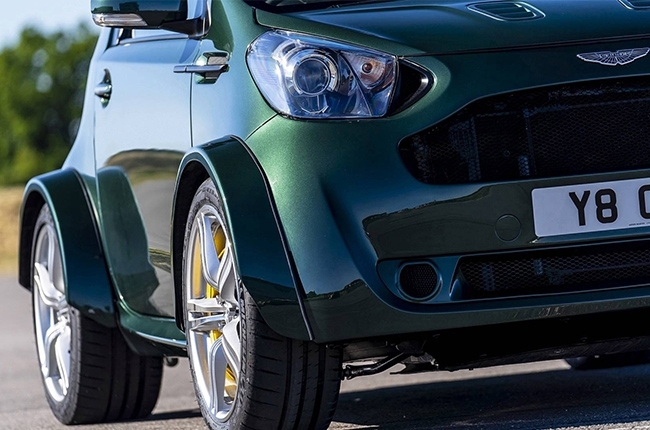 Considering that there's a V8 squished under the hood, the Cygnet's curb weight of 860 kg jumped to 1,375 kg. 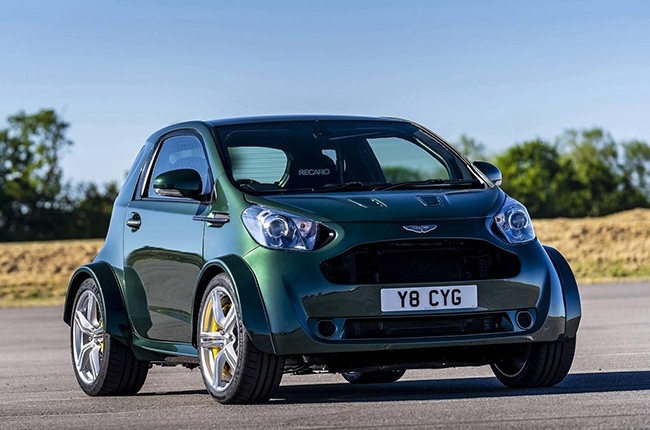 It's not actually bad because as we examine what the papers say, the V8 Cygnet can go from zero to 97 km/h in 4.2 seconds which is faster than the V8 Vantage S – so much for a city car, don’t you think? It also has a top speed of 274 km/h. So, if you need a quick run back to the grocery store because you missed a bag of salt, no problem. In addition, the weight is supported by minimizing the interior elements. 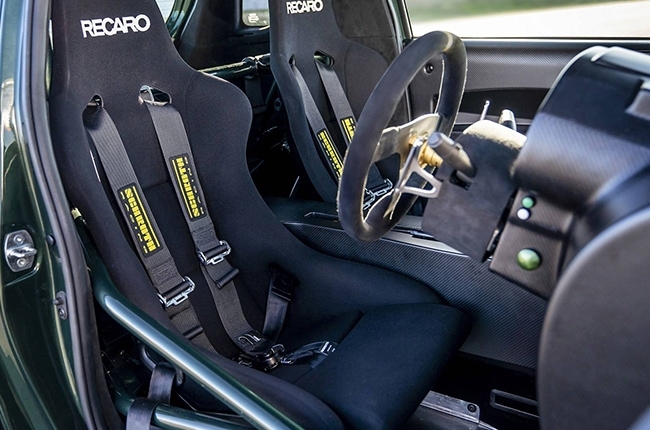 The cabin features a roll cage, two Recaro bucket seats, Alcantara-covered steering wheel, and a carbon fiber dashboard. Despite these, the feel of luxury is still there, thanks to the leather pull straps in the carbon door cards, which are a really cool touch. What makes it even spicier to the thought is the fact that it will also have the same transmission from the V8 Vantage S. Yup, it's the seven-speed Sportshift II which will transport power through a miniature torque tube to the rear wheels. 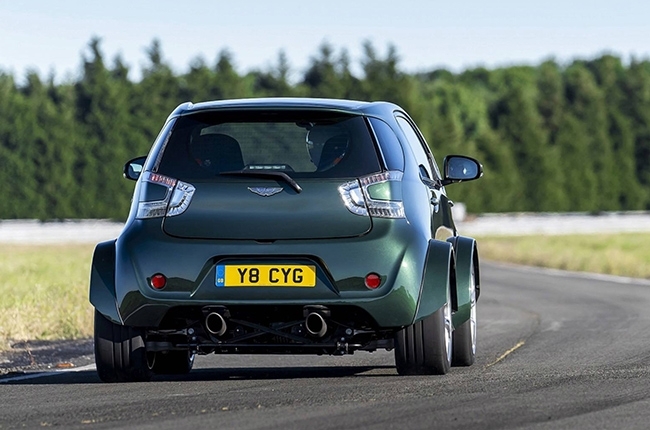 If a tiny vehicle like the Cygnet can handle a V8, what are the limits then? And, who else has their own crazy idea? Maybe, it's time to pay Aston Martin's facility a visit after all those years of thinking about it. The V8 Cygnet is currently up in display to boast its power-packed tiny hatch body at the 2018 Goodwood Festival of Speed in England. But, if the odds could ever be in our favor, we say we would like to see this V8 Cygnet ply our national roads. Who knows? We were lucky enough to have the GT12 visit here, so why not the Cygnet?